What does CAIR have in common with ISIS, Al Qaeda, and the Taliban? It is a terrorist organization which hates and violently opposes Free Speech. Like ISIS, Al Qaeda, and the Taliban, CAIR is a jihadi organization. It is Hamas in the United States. Don’t let the suits fool you. CAIR was identified by the U.S. Department of Justice and the FBI as a part of the U.S. Muslim Brotherhood’s Palestine Committee, which is Hamas in the United States. See page 5, line 11 of the governments un-indicted co-conspirators list from the largest terrorism financing and Hamas trial ever successfully prosecuted in American history (US v Holy Land Foundation, Dallas, 2008) HERE. CAIR is still listed as an un-indicted co-conspirator in the largest Hamas trial ever successfully prosecuted in American history. For a more detailed list of evidence conclusively unmasking CAIR as a Hamas entity, see UTT’s publication CAIR IS HAMAS. 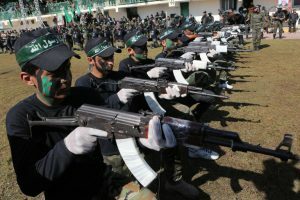 Hamas is a designated Foreign Terrorist Organization. And like ISIS, Al Qaeda, and the Taliban, CAIR’s inclusion as a Muslim Brotherhood/Hamas entity means it also supports violence against anyone who violates the Islamic Law of Slander, which is to say anything about Islam a Muslim would “dislike.” It is a capital crime in Islam. This is why CAIR tells Muslims not to talk to anyone in law enforcement before talking to them. 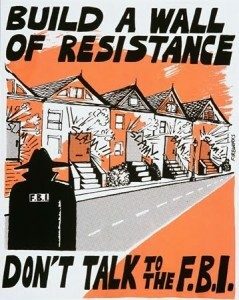 It is why they tell Muslims never to speak to the FBI. It is why they violently oppose anyone who speaks truth about who they are – like UTT. CAIR’s lies and deceit cannot stand the light of day nor the mountain of evidence arrayed against them. CAIR is a terrorist organization and its leaders like Nihad Awad, Omar Ahmad, Ibrahim “Dougie” Hooper, Corey Saylor, Ahmed Rehab, Mustafaa Carroll, Parvez Ahmed, and so many others, are terrorists. Since one of the documents discovered among Nihad Awad’s files at CAIR’s headquarters office entitled “Proposed Muslim Platform for 2004” dated 3/08/04 states one of CAIR’s goals was to “attempt to understand Islamic movements in the area, and start supporting Islamic groups including Mr. ben (sic) Laden and his associates,” one would think CAIR and its leaders would be no more. 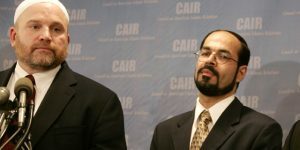 Many of CAIR’s leaders have been convicted and sent to prison for being terrorists including: Ghassan Elashi, Randall (Ismail) Royer, Bassam Khafagi, and Nabil Sadoun. 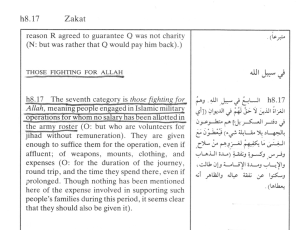 In fact, on CAIR’s own website they openly admit they ONLY give the zakat they raise towards “fisabilillah” – category 7 – which is jihad (“terrorism”). That is a violation of federal law. Suit wearing jihadis are no less dangerous than ISIS soldiers on the battlefield. CAIR is Hamas, and their headquarters is one block from U.S. Capitol offices buildings. 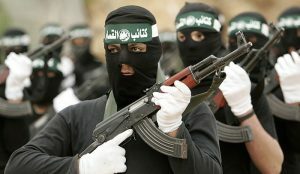 They are a terrorist organization (Hamas) funding terrorism, and silencing Americans who speak truth about them as a part of their civilization jihad, yet they are still not in jail where they belong. In 1777, the thirteen original “Colonies” (each of which had its own constitution) agreed to change said appellation to “States”, then successfully lobbied the Continental Congress for the creation of a document called the “Articles of Confederation”, which even though it lacked executive & judicial branches became the basis for a government consisting of united states under the leadership of an appointed president named John Hansen, who along with his seven successors would serve as the “President of the United States” for a year. I.e. George Washington, though the first such “elected” official, in a literal sense was the 9th, not the 1st. U.S. President, who by virtue of using said title when speaking to the others, is alleged to have acknowledged and respected their status. Due, however, to growing dissatisfaction with the adverse affect the Articles of Confederation were having on the government’s ability to conclude commercial treaties abroad, in 1787 Congress met in Philadelphia and created the Constitution of the United States of America as we now know it, which was ratified by the required nine States in 1788, and amplified in 1789 by the first ten amendments, or “Bill of Rights”, the freedoms the Islamic nut cases at CAIR hate most. Furthermore, if the embedded imposters at CAIR unwisely think the 1st Amendment is all they need worry about respecting their maniacal fantasy of advancing the Global Islamic Movement by denying the right of Americans to engage in free speech pertaining to revelations regarding the worldwide evil they support, they’d better digest the intent of the framers in Article III of the Articles of Confederation, to learn what their future, and the incremental future of their 2500+ urban forts on American soil look like should they dare to either plot or become personally involved in “religious” attacks on our people. There is nothing superior about Muslims nor about the narratives and draconian laws they adhere to. They are thus advised to forget about the devotion of Americans to free speech & freedom, which are none of their business, and focus instead on the statutes of limitations relating to the crimes they commit. Thank you for the perceptive comments about CAIR! Also, I AGREE WHOLEHEARTEDLY with you that certain high-ranking officials in this country should be jailed for treason (for promoting Marxism and Islamic terrorism); and that ONLY Christians and Jews have free-speech rights. And thank you also for revealing that the CIA director is a closet convert to Islam. Good golly, with all the plots afield, it is difficult to sleep at night!